Purrrfectly Holistic...a Boutique for Cats! 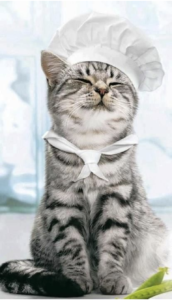 - Your Holistic Cat Health Resource Purrrfectly Holistic…a Boutique for Cats! "I had been told that the training process for a cat was difficult. It's not. Mine had me trained in two days"
Listen Live the 3rd Monday of every month at 7pm CST! Welcome to Purrrfectly Holistic! My passions are cats and holistic health. If you’re reading this you’re probably already a cat lover or owned by at least one cat. My favorite sound in the whole world is a cat’s purr, and there’s nothing cuter than a kitten curled up asleep, playing with a toy or running at full speed sideways. I’ve always had a special connection to cats, and like Ernest Hemingway once said, “ One cat just leads to another.” Kittens are my weakness, and every few years or so I get the urge to add another one to the family. Each one is special and unique and steals a piece of my heart. 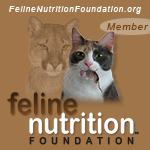 My goal is to share ways you can apply principles of holistic health for cats through a variety of means. This will include optimal nutrition for cats, homeopathy, herbal medicine, animal communication, Reiki, muscle testing and more. My own journey led me on a detour away from the conventional health and medical standards that weren't effective to a more natural, holistic approach. And guess what? It works! My cats deserve better and yours do too. Celebrate cats with me and all the love, joy, and excitement they bring into our lives. Be ready to laugh, cry, learn, and be fascinated. Educating and helping cat owners provide the very best in holistic health for their cat is my calling and purpose, and I'm grateful to have this platform to do it. Thank you for stopping by and checking us out. I invite you to become a part of our community!